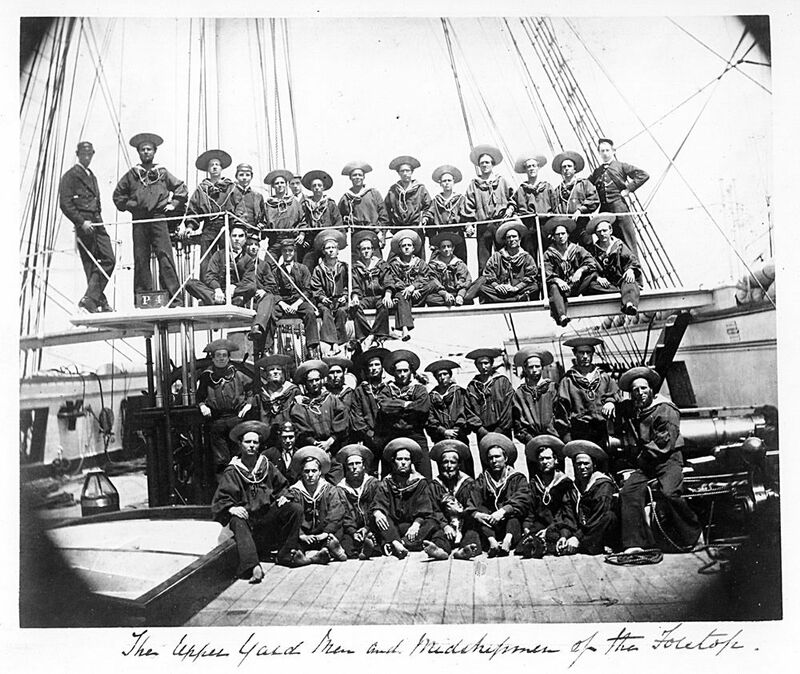 Group portrait of Upper Yard Men and Midshipmen of the Foretop from the cruiser HMS Phoebe (launched 1890), pictured on the deck of the vessel, circa 1894. This Crew of HMS Phoebe Art Print is created using state of the art, industry leading Digital printers. The result - a stunning reproduction at an affordable price.